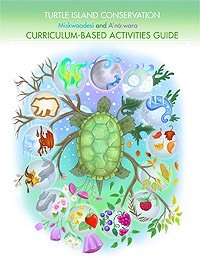 The Turtle Island Conservation Initiative provides great curriculum-based resources in regards to First Nations ways of knowing and traditional knowledge. Click the image to go to their site. Welcome and thank you for your interest in the Pen Pal Project. The Project is indebted to the fantastic teachers who participate. You make it happen and we greatly appreciate your time and effort during a busy school year. The Pen Pal Project is a fantastic way to engage students in cultural exchange, experiential learning, and literacy. Students have the opportunity to build friendships that can endure through time. 1. The Pen Pal Project is open to JK to grade 8 classrooms from Six Nations, Mississaugas of the New Credit First Nation and neighbouring communities. 2. The Project involves a commitment from September to June. 3. A minimum of three letter exchanges are recommended. We urge you to have your students hand write their letters to their pen pal. Email and Skype are also welcome but in addition to the hand written letters. 4. It is very important that all participating classrooms/students attend the year-end gathering as not to disappoint a pen pal who is looking forward to meeting their counterpart. Should a student not be able to attend please be sure to let your Pen Pal Partner know ahead of time. 5. Classrooms are encouraged to connect up and even meet prior to the year-end gathering. 6. Once you register your classroom you will be given your counterpart. Teachers that have Pen Paled together in the past can request each other again. 7. If you would like your class to participate in the Pen Pal Project and are able to meet the commitment please complete the Registration Form on the web site. 1. Maintain personal email or phone contact with your counterpart teacher involved in the project. This is one of the most important items because it helps to ensure a smooth process throughout the project. You and your Pen Pal Partner are role models for the student’s relationship. 2. Be sure you and the other teacher try your best to notify each other if a pen pal may miss the year-end gathering so the young people are not too disappointed. If a Pen Pal will miss the gathering you can assure their partner that it is still a time to celebrate their connection and to meet others from a different culture. 3. Try to establish with your Partner teacher similar objectives. Discuss the objectives and what you want your students to achieve with the project. This can include learning about another culture, building relationship, practicing social skills, literacy and comprehension, letter writing etiquette, etc.